Go on, explore the shallows. 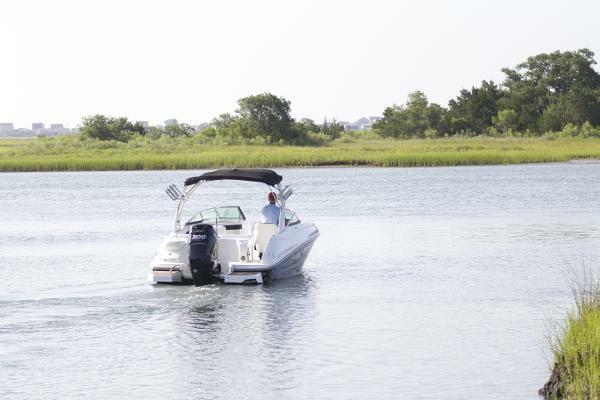 The 240 Sundeck Outboard redefines where you can go and how much you can carry in a sporty-yet-spacious, easy-to-maneuver deck boat. Superior fit and finish and ample seating options mean that every passenger - up to 13 - is wrapped in luxurious comfort. First-rate performance goes hand-in-hand with premium Mercury Verado outboard technology, as smooth and quiet as it is powerful. 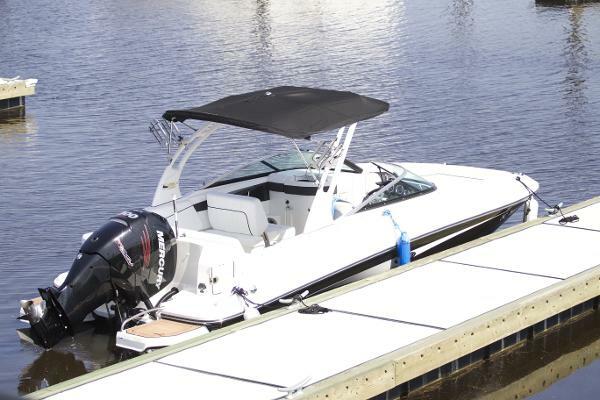 Key Features Deep bow seating with storage beneath Mercury 300hp Verado with less than 50 hours of use. $8,000 option over standard 200 hp Water sports tower--really adds to looks and make the boat feel larger than 24 feet. Enclosed head compartment with lockable door with pump out option 13 person seating capacity--room for the whole crew and their gear Portside convertible seating- Cockpit and tonneau covers to keep the elements off the boat Docking lights Freshwater system with the forward pull out sprayer 2 batteries with selector switch Black hull color--sharp looking boat This boat is listed with MarineMax on brokerage. The stock number is 154959. The boat is located offsite. Please call to schedule your appointment today.